Written by Duncan Heather on December 6, 2017 . Posted in Blog. Outdoor steps are a design opportunity. On any site with significant level differences, the design of changes in level is important for appearance, convenience and safety. The size and shape of outdoor steps in new buildings is governed by the local Building Regulations. This control is mainly directed at disabled access to the main entrance but there is always a legal obligation to design safely. The rise and going (tread) dimensions of a formal flight of stairs should be constant. An unexpected difference of only 15mm in the riser can cause people to stumble. As these trees grow and leaf out, there will be such a fabulous contrast between the grey and the green. The lighting is placed so strategically and highlights the upward movement of the space. People quite rightly expect that formal steps will have a consistency which enables them to walk up and down them with a steady rhythm. Adjacent flights of stairs should also have identical dimensions. Treads should be level, although a small drainage fall from back to nosing of say 1 : 60 max. would be beneficial. This would also apply to the ground at the top and bottom of the steps and any intermediate landings. Natural stone steps created as part of a rockery might be justifiably rugged, uneven and steep but don’t mix formal and natural steps to catch the user unawares. “twice the rise plus the going equals…”. It is generally accepted that outdoor steps should be shallower than internal stairs to take account of the fact that users may be admiring a view and normally there is an absence of a handrail on which to maintain their balance. As a rule of thumb I would suggest you choose risers between 120mm and 160mm and treads between 280 minimum and 450mm with a preference for 300mm or more; then check the sizes against the 2R+G = between 550 and 700mm formula. If you intend users to take an additional pace between risers add at least 700mm on to the tread dimension. If, in addition, you want to combine steps and a ramp to form a stepped ramp, (see Princess of Wales greenhouse at Kew) then a dimension of between 1m and 2m between risers is required with a maximum gradient on the ramp of 1 : 15. Although not ideal, it is possible for push- chairs, wheelbarrows and lawnmowers to be wheeled up or down such a stepped ramp. Use of overhanging nosing of 15 – 25mm is especially useful for short treads of 300mm or less. This helps to prevent stubbing one’s toe against the riser. Any more than 25mm and the overhang of the tread above may become a tripping hazard. The Building Regulations Part M advocates rounded nosings to minimise tripping. Single steps are also a potential hazard because the small change in level may not be seen. If a single step is unavoidable, ensure that colour contrast and/or texture of the paving surfaces give adequate warning. Preferably use a flight of at least 3 steps or alternatively use a ramp. To reduce the seriousness of falling down steps, the maximum number of steps in each flight should be limited to 12 (approx.1.8m vertical height) and never more than 16 steps without a landing. 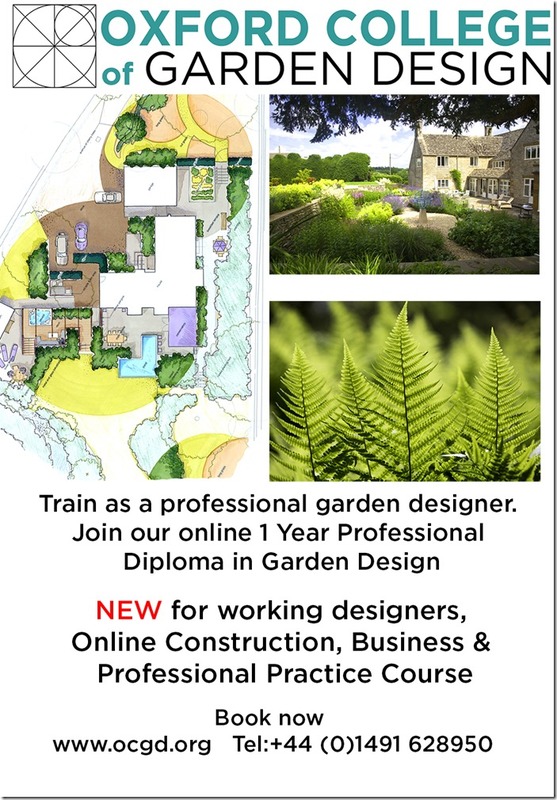 Why study garden design online?